Ilana Segura is the Executive Assistant to Scott Maw, EVP & Global Chief Financial Officer at Starbucks Coffee Company. She has been in this role for over 4 years, and has been with Starbucks since 2011. Prior to Starbucks, Ilana started her administrative support career in the health industry, switching over to banking while supporting the VP of Finance at Washington Mutual Bank prior to its acquisition by JP Morgan Chase. Following that, Ilana provided support to 3 managing Partners at an immigration law firm before joining Starbucks. In the 14 years since Ilana began in the administrative support field, she has been able to learn many different industries’ operational mode and has gained exponential knowledge in assessing challenges that come with supporting a startup law firm or elevating and maintaining a seamless workflow of a Fortune 500 company. 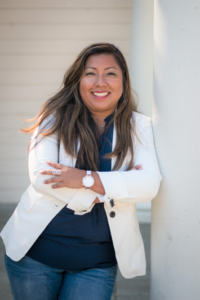 She enjoys connecting with fellow EAs and sharing experiences that are both helpful and insightful, while having a chance to learn everybody’s journey along the way. 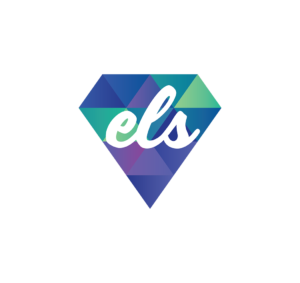 Ilana will be one of the distinguished contributors at the ELS Forum: Seattle on September 26-27. 2018. Why is the Executive Leadership Support Forum important for Executive Assistants? This forum is important to all Executive Assistants because of the networking value it provides. We all know that to be an exceptional EA is not only about what you know but it’s about who you know. This forum provides exactly that. And it also provides the opportunity to learn from one another and find a common thread that only EAs can relate to. The empowerment that you get from attending this forum and getting to know EA professionals like yourself is invaluable and life changing. Name one thing you hope to learn or discuss with your peers at the ELS Forum? I would like to know how they define success in their own careers and how they stay motivated in their roles. Tell us about a career accomplishment of which you’re particularly proud. One of the proudest moments of my career was to successfully bridge the promotion of my boss to the role of Global CFO at Starbucks. He started as the SVP Global Controller and was promoted to SVP Corporate Finance within a year and to Global CFO the year after. The most amazing part of this journey is the fact that he shared his success with me by bringing me along with him and believing in my ability to support his biggest role yet. Internal connections! My job is so much easier by knowing who to reach out to if I need to pull off a miracle in a short period of time with limited resources! I would say don’t be afraid to take risks. Always look for opportunities to learn and get better at something and constantly strive to improve yourself while staying humble. How do you define success within your role as an Executive Assistant? I define success by the small victories you get every day while making your executive look good behind the scenes. However, the biggest definition of success for me is when you can share your knowledge with other EA professionals and provide mentorship to them. Empowering people in our career field is the most rewarding experience an EA can have.